Apologies for the bad Latin in the post title. Today we say farewell to January, named after the Roman god Janus, deity of beginnings and transitions. 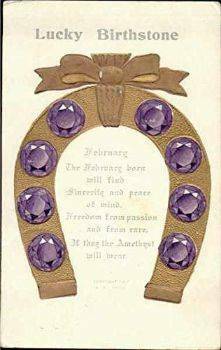 And we say hello to February, named after the purification rite Februa, held in mid-month (typically on the full moon). Here at the Book Horde, our January was a wonderful start to 2016. We reviewed ten books (including a guest review), started a new Sunday feature called Today in History, posted our first book list. We had some informational posts - free stories from Sarah Hoyt, news about Taya Kyle, said goodbye to Alan Rickman, congratulated the Caldecott & Newberry winners. February is when Valentine's Day arrives, so we're going to read some romances, maybe talk about love, chocolates. 2016 is a leap year, so we will try to talk about some leap year traditions too. Have a great new month and a great new week.